"A smooth online platform for me to send and receive faxes"
The HelloFax website has a nice design with clear instructions on what I need to do to send and receive faxes. After I signed up, I was able to send a fax pretty quickly. I like not having to rely on an office fax machine, which is something that obviously isn't very portable. I can send and receive faxes on the go through the HelloFax website or through my email. There are some vendors I work with that don't accept online fax communications, so I'll occasionally have to drop by an office service store and pay for a few faxes. It probably wouldn't hurt for the cost of HelloFax to be lower or if we got higher fax limits. Also, I don't like that there isn't a mobile app version of HelloFax. I'd recommend HelloFax if you prefer not to hassle with office fax machines and want to speed up the process of faxing. There are also many tools included that actually help you with creating documents to fax. So it's not only good for the actual faxing process. Most of the time, I can avoid having to use or stand by an office fax machine waiting for a fax to come through. HelloFax lets me handle all of my faxing needs in the digital realm. I can access a log of faxes, which is great for keeping track of faxes and having backup copies in case I lose them somehow in my local device storage. "HelloFax brought all my faxing capabilities into the digital realm"
HelloFax is a very user-friendly online faxing service with tools that almost anyone can use with ease. I can send and receive faxes online and get notifications through email. I get my own unique fax number that can be used to receive faxes from standard fax machines. I can view faxes in the common PDF file format, which makes is both convenient for viewing and sending to others. HelloFax is a highly flexible system that allows me to use their service on a standard computer web browser or through an email client on my phone. The mobile capabilities are a rather lacking. There is no mobile app I can use to access the HelloFax service. I don't have many file editing features in HelloFax. The sending and receiving limits aren't really that great for what we're paying. HelloFax is a strong and capable online faxing service that can be well worth the price if you're constantly on the go. If you don't want to commit to a monthly or annual plan, you can actually pay as you go. HelloFax helps me to bring all my major forms of communication into the digital space. It drastically reduces my need to go to the office supply store for fax services or equipment. I can basically manage my faxes with as much ease as I do with email. By connecting to Google Docs, I can quickly create and send documents completely online without the need to download any software. What I like most about HelloFax is that its use is very simple, especially on the desktop platform. Another positive aspect is that I can send faxes through my cell phone which saves me a lot of time. What I dislike about this application is that it is not possible to program the faxes that I need to send automatically. This is an inconvenience for me since I waste a lot of time doing it manually. HelloFax has many excellent fax functions in an easy-to-use platform. Your surplus rates are competitive, but your monthly rates are more expensive than others in our review, and you can not communicate with customer support through live chat or phone, which can be frustrating if you need immediate help. The most common problem that I have solved using HelloFax has been to be able to send a fax to more than one person at a time, this I can easily do with this service. I can also send a fax internationally without any additional charge. "We don't need a Fax machine." Paperless ; I really dislike having to deal with paper.From reading ,writing I try as much as possible to be paperless.Thus I am very happy with the paperless nature of Hellofax.Everytime we have been sent a fax message,it is forwarded to our email as a PDF document and when we need to send back a fax, we simply upload the file and send to the recipient fax number,all via the web.No paper,no trouble,no littering. Secure ; Majorly because it is paperless,we are saved from the hassle of ensuring physical documents are kept in save locations, with no third party access to them.One more reason to dislike paper documents I think. Integration : Hellofax integrates with Google drive,which is my teams default means to save documents in the cloud.We are able to send documents saved on our Google drive to clients via Fax and also backup faxed documents sent to us in Google drive. Nothing. Hellofax saved us from those horrible looking machines called FAX. We use Hellofax to receive and send fax messages without the need to own or manage a fax machine in-house,thereby saving us money and making us more efficient. "Hellofax saves us from the hassles of a physical Fax gadget." A colleague of mine almost a decade ago , described the Fax machine as the worst office device in the universe.Few professionals who still have access to the Fax machine , probably think so too. However , years after my colleague made the above statement ,I still get to make use of the Fax machine ;without actually haven seen one in over two years ,not to talk about touching it. You ask how? Hellofax made this possible. Hellofax assigned my organization a Fax number , where partners send us fax documents, while we get our fax documents as a pdf emailed to our official email address.We also get an email confirmation for every time fax messages we send get delivered to the recipient. Thus we get the benefit of being able to use the Fax ,without actually having this horrible but useful gadget within the office space. Nothing to dislike about Hellofax. It has eliminated the need for my company to own a physical fax machine. Hellofax enable me send and receive fax documents without having to house a fax machine. Using the Hellofax app.I am able to send paper documents via fax to any fax machine in most part of the world ,without having access to physical paper or a Fax machine and get real time notification when my faxed documents are delivered ,without the need to wait by the side of my Fax machine,which was the norm just a decade ago. I am VERY disappointed in HelloFax. My HelloFax annual account lapsed without notice so I cannot send/receive faxes and I'm not allowed to quickly set my account back up with the same fax number. I have this fax number on all my business cards and many insurance companies have this fax number and they need to fax me information. HelloFax doesn't have phone customer service nor have you responded to my inquiries to get this straightened out. If this doesn't get fixed asap I will have no choice but to choose another fax number and it won't be with HelloFax and I will make sure everyone knows my issue/huge business impact so they won't use HelloFax either. All I want is my account/number back! Why would you make that so difficult?? I wish there was an option to pay per fax. The free plan allows 5 faxes per month, and the next plan is $9.99 per month. For a small business, there may be a need for more than 5 faxes in one month, but that amount of faxes don't occur every month to make the fee worth it. Using a fax system without having a landline telephone number. "Gets the basics of sending and receiving fax documents. " Hellofax allows us fax documents to our clients without the need of a fax machine. I like Hellofax's idea of sending us a PDF version of sent fax documents and a confirmation mail upon every successfully received document sent to a clients fax. Hellofax does a basic task and that involves enabling us send and receive fax and so far, it does this job perfectly well. Our business puts us in situations where we have clients all over the world, and in a country like the UK for instance ; some of our clients still request for documents to be sent to them via fax. These days, we no longer bother ourselves, trying to work around using a Fax machine : we simply make use of Hellofax. Hellofax has eliminated the use if paper when it comes to faxing and also the need to maintain a fax machine. "HelloFax makes faxing so much easier than using a fax machine." The reason I moved from eFax to HelloFax is because we were getting spammed from spoofed eFax email addresses. I asked eFax for their IP address so we could whitelist it but they refused. HelloFax was very accommodating and promptly allowed us to whitelist them. Now that we have been using HelloFax for several years I really like the user interface on their website. It is intuitive so I do not have to spend much time training someone how to use it. It just works, and works well. I have no dislikes about HelloFax, the product is great as is. Use the trial and see how easy it is to use and administer. We needed a HIPAA compliant method for sending and receiving faxes and HelloFax fit the specifications. "More convenient than an actual fax machine"
The convenience and the fact that you no longer need an actual fax machine anymore. Although I find that fax machines will be obsolete in the next few years since we can send pdfs and docs through emails, there are still some places that only accept important docs through mail or fax. Limited pages, unless you purchased the upgrade. Use this instead of getting equipment with faxing capabilities. Might as well use this program because faxes will be obsolete in the next few years. Sending forms and documents when the only option is fax or mail. I find this is the case with some offices and a lot of schools/universities. "amazing replacement for fax machine"
"HelloFax Helps Me Cross The Technological Canyon"
I don't own a fax machine, and am not always near a FedEx Office to use theirs. Having HelloFax at my fingertips to send press releases and documents without needing to print out such things first is a godsend. Their plan pricing is reasonable, as well, especially for what you receive in return. My only quibble with HelloFax is how small the free plan is. Only five pages for free total, then 99 cents per page after? I'd rather have a monthly quota with more free pages than upgrade, as I don't fax documents to clients and businesses often enough to justify a paid plan. If you need to fax anything, and don't wish to invest in a proper fax machine -- because you actually prefer living in the present -- HelloFax is the way to go. I would recommend upgrading to the lowest cost solution appropriate for your business, as five free pages total isn't enough for anyone's needs. Some businesses and publications are only reachable by fax, sadly. HelloFax has helped me cross this particular technological canyon, where upon I can rain printed paper to the intended recepients from the cloud. "Eliminates the need of a fax machine. " I like that we are able to fax documents to our clients and partners without the need for a fax machine. I also like how hellofax sends us a PDF attachment containing our sent fax confirmation alongside a copy of the faxed document. Hellofax works perfectly, thus no complaints as of this moment. Hellofax makes it easy to get work done whenever we have needed to do business with partners who are majorly reachable via fax. Hellofax simply enable us send paper to our partners from the cloud, via the Hellofax app. As against via a fax machine, which we have no use of, courtesy of the effectiveness of this software. The product offered what they said they would. Hard to navigate, no way to contact customer service, charged several unidentified charges to my card, but my HelloFax says I have never been charged and has not presented an invoice for the services they are allegedly providing. I am paying for a service I am not receiving and there are no invoices that can be found. Seems fraudulent at best. I will update this review if I get a refund. Was able to fax transcripts to a university. "Simple to use with added Signature Feature"
Fax confirmation along with the faxed document as PDF attachment to your email is a really good feature. You are also able to sign the document prior to faxing. Also able to upload files from other cloud storage such as Dropbox, OneDrive, Evernote, Box, and Google Drive. There is nothing that I dislike so far. Try out their free plan for 5 pages a month! HelloFax allows me to fax documents while working from home without a fax line. Formerly I would scan a document to the office and ask one of my co-workers to fax documents for me. So I found HelloFax that can provide this service for a few pages a month for free - it works perfectly for me since I only use this feature a few times a month. "Great and easy way to send a fax "
I like the fact that i don't need a fax machine to send a fax. I can easily send a fax from anywhere. when people send faxes to you if they don't put the 1 in front of the number 9 times out of 10 you will not receive the fax. it is making the use of fax machines obsolete. I can easily work from home with out worrying about if i need to send or receive a fax. It also makes it easier to see if the fax was sent or when a fax is received without waiting at the fax machine. no waiting for long faxes to go trough on a traditional fax machine! nothing, it is the best invention ever! I like that this program is completely paperless which saves on time and helps with the environment. I do not like how there is a certain page minimum that you can send before having to pay more fees. our business has become far more efficient in that we aren’t losing any faxes, and we are able to follow up with clients almost immediately. I love that you can even do it on your phone or tablet when you are on the go. This is very beneficial when your job requires you to travel. I dont dislike anything about HelloFax. They are very effective and super helpful.Simce using Hellosign I am now having to be less in office. We are saving time and paper. I have been using HelloFax for a few months and have found it to be the easiest faxing app I have used so far. Very user friendly and fast. We eliminated the need for a separate fax machine and with HelloFax, each employee can have their own log in and fax number rather than sharing, and receive their own confirmations or error messages. "Awesome, given the current state of Fax in our Days"
Cheap. You pay per use, instead of paying unnecessary subscriptions. Integrated with Google, can send off docs. Easy to use interface. What's best is that you get free monthly credits. An average professional would save a lot of money. Quality could be better , given the fact that files don't suffer from image distortion due to copy. Editing PDFs and faxing them off. "Great service for a reasonable price "
It works! It’s simple to use and affordable. I’ve used their sites and they don’t hold a candle to this one. There’s really nothing to not Iike. It’s user friendly and at a great value. Try it. Use it. Love it. It will exceed your expectations. My only dislike is if you forget the 1 before the area code when getting a fax sent to you will not receive it. I love that it’s paperless and offers other features. I wish they could change the color of the site to be more energy friendly. It’s already paperless why not add energy saving as well. I’m solving faxing issues when my fax machine won’t work or I’m not in the office. It's free for a limited number of fax each month. Also, it's simple and easy to use. Some vendors don't accept the important info via email. While, not everyone has fax in their office anymore. "Modern way to send faxes in a paperless world." This site is fantastic when working with industries like education and finance that still use a lot of paper and may be behind the times technologically. Sending docs can take a long time - and sometimes fail. But rarely. Interacting with schools in passing student records and release info back and forth. "Great for sending and recieving faxes and obtaining document signatures." I think it's great that you can send faxes for free. The software also creates a log that stores your faxed. I love the email confirmation that you receive when your fa is complete. No dislikes, I think Hello Fax is a great option as is. Sign up! It's very reliable and you cannot beat the price. As a contractor. I enjoy being able to scan documents and fax them. This has completly removed the need for a fax machine. I can receive faxes on line. A lot of people can get them at one time. Oversea coverage can fax up to 70 plus countries. Minimal support- the only way you can get in contact with somebody for tech support or other problems you might have are through a email ticket system, It may take a while for a response from support representative. Yes, I would recommend Hello Fax to other people. I am using it for faxing documents for personal use. "Simplest way to send a fax"
I love that I don't need to have a fax machine at home or go to a store/office to fax something. The efficiency of HelloFax is amazing. I don't like that you need credits to send a fax but everyone has to make money somehow! Sending faxes from remote spots. 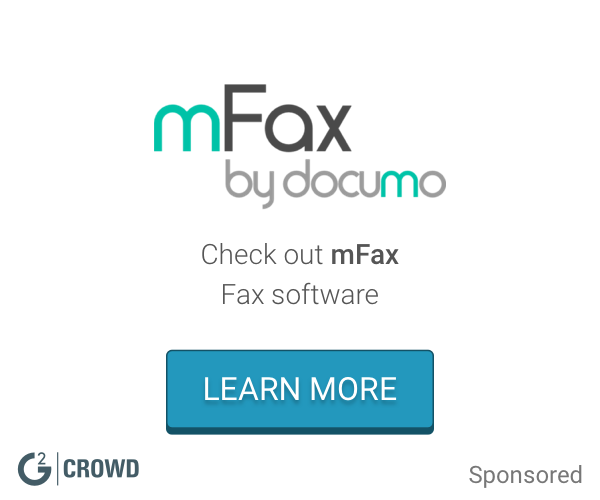 "Makes faxing without a physical fax a breeze"
I like how simple the service is. I get emails with the faxes that are sent to me that makes it very easy to access from various locations. The only thing that is even a little bit tough is that I need to access a scanner to send faxes. I get a dedicated fax number for a minimal cost that allows me to accept and process orders. It's pretty easy to use, it has a nice interface and file uploads are easy. There are times that larger faxes can hang up for hours and sometimes need to be restarted. Research all the available options and make and then make your decision. It does the job, it sends faxes electronically and works most of the time. the ux is really nice, minimal and easy to use. minimum help. not always understanding what they want from me? try other companies as well. You can fax anywhere for free and it is easy to use. I recommend this software to other owners. * We monitor all HelloFax reviews to prevent fraudulent reviews and keep review quality high. We do not post reviews by company employees or direct competitors. Validated reviews require the user to submit a screenshot of the product containing their user ID, in order to verify a user is an actual user of the product. Hi there! Are you looking to implement a solution like HelloFax?